LUBRITA Check oil level concept offers a wide range of oil products and lubricants to different consumers and manufacturers all over the world. At LUBRITA, we believe every country has its own population size, automotive needs with peculiar lubrication oil and grease requirement for different means of transport and equipment. Lubrication is highly important in industry. Using the correct lubricants and lubrication techniques can mean the difference between processes running at peak efficiency and entire product lines failing. Therefore, we understand the need for a whole range of lubricant products in today‘s modern market. Our marketing and online sales platform makes it easily accessible for customers to choose and buy necessary lubricants, oils and greases convieniently, and also from our distributors and local shops worldwide, . From LUBRITA local stores to LUBRITA INTERNATIONAL distributor‘s network, all your lubricant needs can be met here! Cooperation with us means Low Cost to create and establish own business. No need a large investment. The recipient is connected to a Lubrita international distributor’s network and/or of franchises of the well known LUBRITA brand name, which also attracts more customers. 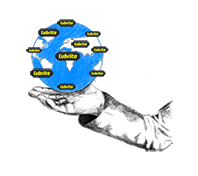 World wide global sales support under Lubrita branding in many different countries. 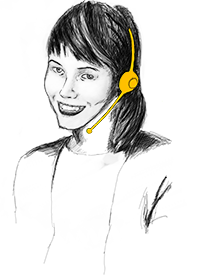 Lower marketing costs for our distributors, partners and agents. Brand image consistency in every region. Quick and efficient use of ideas. A global entity is able to use a marketing ideas and mold it into a strategies to implement on a global scale. Uniformity and same style in global marketing practices.